The STATE OF MINDBODY GRAPH displays your overall mindbody condition. If you are in a relaxed, harmonious state the green bar will be HIGH-UP. A tense, stressed MindBody will show if the green bar is LOW. The left, blue bar of the RELAXATION-STRESS GRAPH shows the environment and is used as a baseline. The middle, green bar shows your RELAXATION - STRESS LEVEL. The cyan, right bar shows the difference between the environment and your relaxation level. Low values indicate STRESS - low temperature, low circulation and/or low physical energies. High values indicate RELAXATION - high body temperature, high circulation and/or high physical activity. My18768 ( Hjh Norbayah Yambang ) Tawau. Selama 20 tahun hampir setiap bangun tidur saya ( Julias Nilam, 40 tahun, Pontianak, 08125702xxx) merasa sakit dan ngilu pada bagian pinggang dan tulang ekor. Dan bila penyakit kumat, anggota tubuh dari pinggang sampai kaki tidak bisa digerakkan (seperti lumpuh). 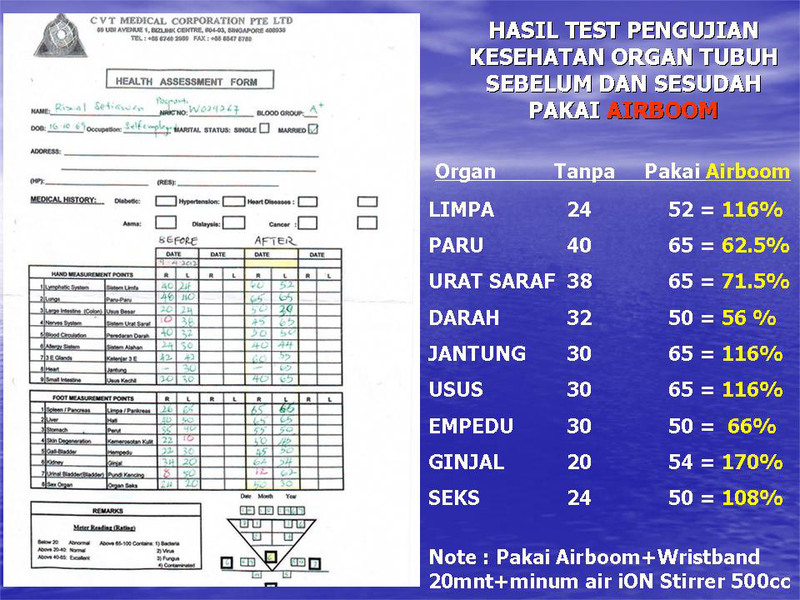 Saya sudah berobat kemana-mana : dari sinshe hingga dokter spesialis syaraf dan tulang ternama dan terakhir Feb 2010 saya berobat ke Malaysia namun semua hasil pemeriksaan lab, rontgen, MRI (terlampir) normal. Tidak ada tulang maupun otot yang cedera/terjepit. Saya hanya diberi vitamin saja. Seminggu setelah pulang dari Malaysia, saya disarankan oleh kakak untuk mencoba AirBoom. Awalnya saya kurang yakin apa mungkin karet silicon seharga Rp. 540.000,- ini mampu mengurangi rasa sakit, sementara obat yang harganya lebih mahal saja selama ini tidak mampu. Namun akhirnya saya putuskan untuk mencobanya saja. Saya menempelkan AirBoom pada pinggang (bagian tulang ekor) sepanjang hari. Pada awal Maret 2010 (sekitar 2 minggu setelah pemakaian AirBoom), saya sudah tidak merasa sakit lagi. Saya kira ini sugesti saja, tetapi setelah 1 minggu kemudian (hingga sekarang) rasa sakitnya betul-betul sudah tidak ada lagi/hilang, saya baru yakin Tuhan telah menyembuhkan saya melalui AirBoom. Terimah kasih AirBoom. I was invite by my sister in law to attend my hometown seminar(sibu) organized by AirBoom on last month (march 2010). After the seminar, my sister in law borrow me a piece of �AirBoom� & said that it will reduce my back pain. I wasn�t believe at that moment. But after I have a try the AirBoom for a week, it obviously reduce so much of my back pain. Until now I still using it. Besides that, I also order 3 pieces for my husband & sons. Hi, I use to have back pain problem but after start using airboom on may 2009, it have solve my back pain problem now every night I will put 2 airboom on my back pain. One of my friends use to have stiff shoulder when he got out of bed, he took my advice and purchase 2 airboom from my uncle living in Sabah, he try putting the 2 airboom on his 2 shoulder before he went to bed and the next morning he was so happy that morning at work and told me that he don't have stiff shoulder problem that day and from that day onwards he will use the 2 airboom whenever he went to bed or bring it along in his pocket whenever he goes. Hi, I'm from Singapore, I've Migraine problem, sometime the pain is so worse that made me feel giddiness and vomit. After I start using air-boom, it solve my problem, whenever I had migraine I will put the air-boom on my forehead and within a few mins the pain will stop. I also notice that after using airboom for a few months on my my migraine and using airboom on charging my drinking water, my Migraine have turn better. As last time I use to have Migraine very often about 4 times a week but now I notice that I only have migraine once or twice a month! Thanks to AirBoom It's really helps. saya pengidap lemah jantung.Kadangkala saya terkejut dan jatuh pengsan dan juga sakit kejang kaki.pada suatu hari saya di perkenalkan oleh rakan niaga encik Roslan ombok tentang keajaipan PRODUK AIRBOOM ENERGY.saya pun mula mengunanya dalam masa seminggu saya merasakan jantung saya semakin kuat.dan memakainya setiap hari,kejang di tangan dan kaki saya mula beransur pulih.Saya ingin mengucapkan terimakasih kepada syarikat kerana mengeluarkan produk Airboom ini. Recently the weather had become very dry and hazy and the air quality was bad. My son was so often sick because the poor air had caused him to develop nasal allergy. Every his nose was runny and blocked with mucus. Doctor's medication offered relief but he had to rely on medication more and more. Then I got to know about airboom from my colleague and he said water soaked in airboom can help fight illnesses and asked me to try. My son took the water for few days and I could see improvements in his condition and he need not take medicine anymore. Last two week my daughter friends introduce me airboom product. She said it will help to relieve pain on our body. Without hesistate I bought a piece of airboom & nano twister. On one day, after I lift some heavily stuff my hand have a great pain, I can't sleep good that night. Finally i remember about a nano twister, i put it on my hand, after the next morning i feel no pain on my hand anymore. That's cool ! Thanks airboom. Best Stuff Ever - Worth Of Money, Thanks to my best friend Mr Suffian who gave me such an unique present for my wedding ceremony. My first respond to Air-Boom is that it is only an ordinary rubber with technology which does give a little help in cutting down radiation; like many other products. I am wrong until I really tested it on my car 2 weeks ago, that I couldn�t stop sharing this great item to my customers and friends. It really save petrol and increasing the car power. Many people agreed that the new introduced formulation fuel (the only petrol available now) give less power to their car and thanks to Air-Boom which come in as a solution at this right timing. Try it and you love it. Im truly in love with this products. For me, Air-boom is a piece of rubber but miraclely it does help me a lot. Since my very first time auntie visit, my stomach cramp and i really really suffering a great pain. Every month when my auntie visit, i have to take leave from school, i can't do anyhing accept hugging my stomach and cry. Untill last two month i received a piece of rubber which is Air-boom from my sister-in-law and she advice me to put it on my stomach when auntie-visit. It does reduce the pain and i can do my works like as usual. 25 years old, carine lau from Sarawak. I have constipation problem since at young age,one day my sister introduce me a piece of airboom and she said it might help me to solve my problem. So I try it on my water consume. It really amazing, after i try for few days, my constipation problem start reduce and my problem is solve.Thanks Air-Boom. I having a fever for 2 days, on the 3rd day i have been introduced by my sister in law a piece of airboom, she borrowed it to me. On that night i put the air boom at my forehead. I feel that my fever is cool down. At the next morning, i feel much more better and no fever anymore. Thank air boom. For first, i am skepticle a bout this product. Air boom? Nano technology? and i try alot of fuel saver product. Using electrical device magnet, additives and so on. But need a maintenance. It start when my friend lent me this airboom. He want me to try before i judge this product. the installation? Only paste on the intake? Is this thing really works like that? then i try run a few kilometers. And then try bumpy road. And you know what? I can feel the differences. More power during climb a hill. Saving more fuel than i expected.Take aside all the torque/energy and the technical spec, i felt the differences right away after i install the thing. this thing really works.Would like to add more than 2 for better power soon. Saya Sahrul 37th, pertama membeli airboom saya gunakan untuk sepeda motor saya, dan hasilnya sangat luar biasa, motor lebih halus, tenaga yang terisi terus dari rpm bawah sampai atas, dan konsumsi bahan bakarpun berkurang. My father was striked by stroke end of last year followed by heart attack 3 months after his stroke. He is able to lead normal life after some physio therapy classes and operation to unblock the clogged arteries. However, he has been sufferring from numbness pain on his left arm which doctor told him he has to bear with it for life as no medication could help. He suffers in silence till I bought him the Airboom. I must really compliment the wonder of Airboom! After using it for less than a month, he told me that his arm improved a lot. Besides healing the pain, he could now sleep well at night as Airboom helps circulate his blood flow. At an affordable price, it helps improve one's health. We were lucky to have known about this product�. I purchased air-boom for trial for my son's weak lung development. He is 18 months now, born with under-developed lung. This has caused him to have difficulty in breathing since birth and he is very proned to having cough which also disturbed his sleeps frequently. He is always heard with phlegm in his body. With Air-Boom, I put it in his body when he sleeps every night, and to my amazement, it works! He sleeps soundly now without hearing any sound and without much disturbance during sleep. Air-Boom really makes him looks healthier and more active. Thank you! Hi, I've back pain problem for many years and I'm depend on medication to solve my problem, the pain can make me get up midden of the night. Until this year on May 09 one of my uncle borrow me one piece of air-boom when I went visiting him at Sabah, I try it on my back and it really solve the pain, I purchase 2 piece of air-Boom 1 is to put at by back every night and 1 near to my heart. I've also purchase 2 piece of Ion NanoGuard 1 is use to charge my drinking water and 1 I use it on my hand-phone I don't feel the heat from my hand-phone anymore. I felt murch better now. Thanks to Air-boom. Saya Hjh Zaimah Hj Abd Hamid (BR32416) dari Kuala Belait. Saya telah menggunakan Air-Boom selama dua minggu setelah di perkenalkan oleh upline saya. Sebelum ini saya telah mengalami sakit kepala (Migrain) yang agak menyakitkan sehinggakan susah untuk menjalankan tugas seharian dengan baik apabila sakit saya dating. Saya bersyukur setelah beberapa hari menggunakan Air-Boom saya merasa jauh lebih lega dari sebelumnya terima kasih kepada Air-Boom dan Dyg. Supiah Sapar kerana telah membantu mengurangkan beban saya. I heard that the Airboom can perform miracles on the sick. So, i bought it for my brother who had high blood pressure to try. I told him to place it under the cup for 10mins before drinking water and place it near his chest or feet day and night. After using it for some time, his blood pressure dropped from 180 to 130. He had now slowly reducing the medicine he has been taking for his hypertension and managed to maintain it at 130, sometimes even without medication. Thanks to Airboom! The Airboom research team have indeed contributed a lot to the mankind by promoting natural healing. I started having some pigmentation after i gave birth to my 1st child. After having 2 kids the condition got worse. I heard of the energy of Airboom is good for our complexion, not knowing that it will help on my freckles. Besides drinking the water charged using Airboom, i also use the water to wash my face everyday. Within few weeks, besides having smooter & brighter complexion, i noticed the pigmentation had lightened a lot!! Airboom saves me thousand of dollars going for laser treatment. I would recommend it to all the ladies out there who are troubled with dry skin or pigmentation problem. It hydrates and moisturises our face without having to spend a lot of time & effort. Cheers to the great invention! Greetings, I am a �silver� member of Nano. I was introduced about Nano Air Boom Last week. I always face migraine problem. And I was use medication to solve my problem. But now I use Air boom to put on my head when I have migraine.And I drink the �CHARGE� water with air boom.And I felt better . And now I don�t need to depend on medication to solve my problem. Thanks to nano! � Choo,ID No. :MY28458,Miri. Well, I�ve been doing sales in the past one and half years. My company�s core business is trading of goods and products. I came to know a lot of product knowledge from this company as we deals with marine & industrial, wood engineering, and electrical automation products. One day, a close friend of mine introduce me this air-boom which aroused my curiosity regarding this product. One of the product I tested out was the air-boom which i placed at my air-con blower, and indeed after that, I started to feel much fresher every morning when I get up to work. I felt more energetic at work. Besides that, I tried placing it at my car air-con blower. It helps to kill the sweat smell from my car. For those who haven�t tried this product. Please do!! It really work wonders!!! Hi, Lately my daughter had fever while we were out for visiting. As we didn't carry any medication with us, the only way is to place the Airboom on her forehead while she lie down to sleep/rest. After an hour or two, her fever subsided and she could get up to play again. Luckily we had carry Airboom with us all day long. Besides helping to improve the blood circulation, it will come in handy when emergency happens. two weeks ago i borrow a piece of air boom to my best friend, i told her that this product was really amazing, besides i told her that my mum love to use it so much because since her knee always feel painful during the cold weather, after she put the air boom on her knee, she felt shocked and ask "baby where u get this thing? my knee painful no more!! what is this exactly?" My best friend laughed at me and said i like to "put bom" (mean like to tell a joke in mandarin), although im angry that she said that i "put bom", well im just borrow her for few days, who knew she call me immediatedly on the next day, she want to buy this product from me, i wonder and ask why your action changed so suddenly? She said actually she hard to sleep during the night, after she used it, she felt very energetic during the next day, and she on period at the same time, actually she miss her period for almost half year, that's why make her feel interest on this product. Greetings Everyone! I am a new member of Air-boom. Last week I try air-boom on a baby girl in our family which was only 4 months plus. It has been two days, she vomited some milk, everytime after she finishes her milk. Thats because of her stomach is filled with too much air. This is actually a very normal problem, which a lot of babies are always facing.So, I try putting a pce of air boom on her stomach, before an hour time, she keeps on 'fart'. Cheers Always! Dickson Ling, Miri, Sarawak. 我是來自美里的 francis ting, 某天闲着无事就做了个实验。首先盛2杯自来水，把1片air-boom 放进其中1杯，过了大概20分钟，滴几滴chlorine tester 在2个杯里。结果那杯没放air-boom 里的水渐渐变成青黄色，放了air-boom的水还是没有任何改变。第2个实验再盛2杯自来水1杯放air-boom1杯没放air-boom,20分钟后就拿给家里人试喝（事前不让人知道那杯放了air-boom)，结果家人都说其中1杯有放air-boom特别清甜. Yes, good product, I used this product for the last 3 months, tidur pun senang dan nyenyak, dipakai pada air minuman jadi bertenaga. Saya pakai di gengam di tapak tangan kiri-kanan dan dibawa berjoging di padang bole talan berlari sampai 3 km umur saya dah 50 tahun skg macam-macam lagi excitments pakai airboom. Pakai pada mata pun boleh jadi perlahan lahan jadi tenang. Ada banyak lagi dah kami cuba pada air-boom sama kawan-kawan syok pakai air-boom, kami bawa selalu dibadan macam bawa kredit card, hari-hari dibawa dan siapa-siapa, sering kencing malam, simpan dalam seluar dalam dan pakai bawa tidur malam akan jadi segar dan kepala jadi baik. TQ pada air-boom. Pada 6hb June 09 saya menghadiri majlis perkahwinan seorang rakan. Selepas makan, saya dan kawan-kawan berehat sambil berborak kosong. Seorang daripada kawan saya mengadu terlalu pening kepala. Saya telah memberikan air-boom kpd beliau utk diletakkan di dahinya. Selepas 10 minit, dia terkejut besar kerana pening kepalanya sudah hilang. Tanpa bersoal panjang, terus dia membayar RM pada saya dan berminat utk memperkenalkan pada rakan rakan. Saya Cikgu Wan dari Bandar Sri Indah, Tawau, Sabah. Saya telah diperkenalkan produk AirBoom ini oleh En. Iman. Katanya produk ini baik untuk digunakan untuk kesihatan dan juga meningkatkan prestasi kereta dan boleh menjimatkan minyak. Saya terus membelinya untuk digunakan pada kereta Wira SE. Setelah hampir sebulan saya menggunakannya pada kereta saya memang didapati pretasi kereta saya meningkat, kuasa pecut yang mengkagumkan serta menjimatkan minyak. Selepas ini saya bercadang untuk membeli produk AirBoom ini untuk kegunaan kesihatan pula. Terima kasih kepada En. Iman kerana memperkenalkan produk ini kepada saya. Saya mengalami kecederaan dan sakit belakang dan pinggang selama 32 tahun, semejak saya mengalami kemalangan motosikal sebanyak 2 kali yang menyebabkan tangan patah,tulang belakang cedera teruk.semejak saya di perkenal kan product air-boom oleh En.Nordin dan En.Mohan. saya telah memakai air-boom kat pinggang dah 8 bulan. hasil dari pada tindakbalas air-boom, sakit saya dah ber tambah baik sehingga 98% dari dahulu.Terima kasih pada product air-boom, berbaloi dengan harga product cuma RM 180 dah dapat selesai masalah urat saraf saya hadapi selama 32 tahun. I was introduced to purchase an airboom and become a member on 30/3/09 under my upline Janet. My wife�s neck was not feeling well, when I had the airboom, so I ask her to place on the neck when she slept at night. The next day it became better and so she put on the pillow for 2 to 3 nights it stop the pain. She was very happy and will help me to introduce to her friends and relatives. Thanks very much. Saya puan fauziah telah memcuba mengguna alat kesihatan airboom pada bulan 3 dalam tahun 2009, saya telah diperkenalkan kepada airboom oleh miss ngiuk ,setelah saya memcubanya, saya dapat rasa perubahannya yang ketara, badan saya sehat serta kulit saya juga licin halus. Pada bulan april 2009, saya pergi ke Indonesia dan saya telah mempromosi airboom kepada kawan kawan saya di sana, dan saya dapat mereka semuanya berpendapat bahwa airboom sangat baik untuk kesihatan., pakcik saya yang mengalami gaut juga mula beransur baik. Saya rasa gembira dengan airboom. I was introduced by mdm n.c nge to buy 5 airboom and 1 nano guard. For the first 2 to 3 months, I don�t fell any special about these 2 products, but recently one day I felt that my stomach is not comfortable due to indigestion, so I try to put the airboom on my stomach. 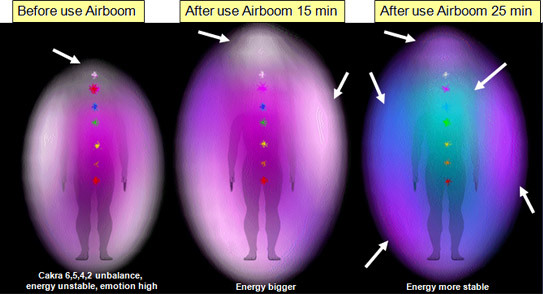 Slowly, the discomfort become less and less, I think it must be this airboom which helped me. The nanoguard seem to be quite useful too when paste on the handphone. Saya mohd azmi dari Pekan, Pahang telah menghidapi penyakit ASMA sejak berusia 13 tahun dan sehingga sekarang penyakit yang saya hidapi ini masih belum berkurangan, adakalanya saya terpaksa ke hospital untuk mendapat rawatan.Pernah satu ketika pada tahun 2007 saya di masukkan ke unit CCU dalam keadaan koma selama tiga hari dua malam.sampai sekarang keadaan saya masih sama sehingga lah saya di perkenalkan oleh kawan saya Mat Khon dan Fauzi iaitu AIR-BOOM.Saya pun menggunakan AIR-BOOM tersebut dan dalam tempoh sebulan saya dapati keadaan saya bertambah baik.Saya sangat gembira kerana AIR-BOOM ini memang luar biasa. Selepas makan durian dalam jumlah yang banyak telah menyebabkan saya mengalami panas badan dan sehinggakan sukar untuk mengeluarkan suara apabila bercakap. Dengan hanya meletakan AIRBOOM di bahagian dada dan juga merehatkan diri lebih kurang 3jam, saya dapati suara saya kembali seperti sedia kala dan panas badan saya juga berkurangan. Sungguh menajubkan ! Saya akan terus memanfaatkan penggunaan AIRBOOM dan memperkenalkannya kepada orang ramai. Fr : Alex Voo, Sandakan. Nama saya iman hiu,saya pernah mengalami keracunan makanan semasa makan di kedai,jadi mr.khoo, kawan saya memperkenalkan nano airboom kepada saya, mula-mula saya tidak percaya kerana ia cuma sekeping getah kepada saya, tapi saya ikut juga cakapnya,saya letak 1 keping nano airboom pada bahagain perut pada malam itu dan terus tidur,tengah malam saya merasa panas dan sakit dekat perut saya dan saya pun terbangun dan minum air ,keesokan harinya perut saya sudah selesa,thanks mr.khoo dan nano air boom. I was introduced to buy 5 airboom from your company and become a member too. Before I also bought a energy bracelet for my son and so I believe that these airboom will have energy but was told that the energy is much much more than other brand. I had back pain, often tired and sleepy becos I used to look after 3 small children of my friends. After a short while when I used the airboom, I am very happy to feel so good, not so tired and sleepy. Thanks a lot..
Saya berumur 73, jantung saya pernah operation di AJM kuala Lumpur, selepasdalam 9 tahun operation saya masih mengalam sakit gatal di kulit saya. Waktu saya belum pakai Airboom saya mengalami badan saya letih dan tidak selera makan, jadi saya diperkenalkan mdm Nge, saya pun tyr dalam 2 minggu, saya merasa baik dan tidak letih dan makan pun ada selera, saya berterima kepada Airboom. A wisple of years back, I noticed a small growth at the side of my neck. I ignore it and over the year it have grown bigger. Numerous visit to doctors and various medication have not been helpful. Finally, I went to Guilin, China where the doctor recommended immediate surgery but was advised only a 50% chances of recovery. The doctor further cautioned me the worst scenario would have resulted me been paralyze. I was in a clilema and have since put off the surgery till today. The search for the cure continues. About 3 months ago, my upline Betty suggested airboom. At first, I was very skeptical. However, Betty emphasized that airboom would energized water into concentrated oxygenated water. That strike me because I remembered otto warburh, the nobel price winner, have mentioned tumour cells and even cancer would not survive in oxygen. So I decided to give a try. Every night I tried the airboom at my neck and drank planty of the energized water. GUESS WHAT??? The growth have regressed by almost 50%. It was miraculous. Everyone seem to notice the difference in me. I have confidence in the next couple of month, god willing, I will encounter a complete healing soon. Mamy thanks to Airboom. I was diagnosed Kidney failure last year and my doctor advised to go on dialysis. I went for second opinion with Chinese sinseh and was prescribed herds. I took the herbs for a month and it did improved my condition. Last March 2009,I went for a conference in Kuala Lumpur and did not take the Chinese herbs for 10 days, I collapsed when I got back to KK and had to be admitted to ICU in Sabah Medical Centre. Dialysis was performed and I have to stay 1 week in ICU before being transferred to the normal ward. After I got discharged, I had to go to the hospital to do dialysis 3 times a week. Each time I finished the dialysis, I became very weak, most of the time I collapsed. Then a friend of mine name Mary Er introduced AIR BOOM to me. I bought from her 4 pieces of the air boom. I put each air boom under my stockings and wear them day and night. I also stick 1 air boom on the back of my waist near my kidneys. After one month of wearing them, I feel much better, more stronger and no more dizziness. I also stopped dialysis and went on osmosis in the stomach instead. My friend seems to notice my improvement as I also look much healthier. Thanks to AIRBOOM. 我是来自砂拉越诗巫的何先生. 今天第一次正式接触AIBOOM这个产品. 边听讲解边试用, 神奇的事情就发生了. 由于昨天晚上睡觉时落枕, 一整天脖子疼痛, 头也不能向右转, 稍微动一动都会觉得疼痛. 膏药贴也贴了一整天, 一点好转/减轻 都没有. 直到晚上用了AIRBOOM, 直接放在颈部与肩膀之间疼痛处, 在短短的几分钟内, 马上就见到效果; 原本因为冷气强, 手脚冰冷, 顿时觉得全身热起来, 还稍微流点汗. 再过一阵子, 就觉得疼痛的地方轻松了很多, 头可以自由地转动. 效果真是惊人, 绝对物超所值!!! On 21st March 2009, I paid a visit to my nephew in Kota Kinabalu, Sabah. It was my first trip to Sabah which boost it�s world class ecotourism. But my trip was marred by my long standing excessive PHLEM which have bothered me many years. Numerous visit to doctor have not yield desired results. This health problem havs denied me from taking seafood. One night, while I was in my bedroom, my nephew come into my room and gives me a piece of AIRBOOM to be placed on top of my throat. I asked him what this is. He replied this AIRBOOM have miraculous healing power. What? A piece of rubber possessing healing power! I exclaimed. Reluctantly, not to disappoint him, I did as directed. Guess what? On the first night, the excessive problem has reduced. I continued into the second night. The problem disappeared completely. I was delighted this medical problem which have bothered me for the last 10yrs have been eradicated by AIRBOOM. Immediately I placed on order for 3 AIRBOOM for myself and others in need. Thank you very much for this wonderful product. KEEP IT UP!!! On 8 March 2009, upon the encouragement of my up-line madam Betty, I bought an AirBoom for my high-blood pressure. I have been on doctor prescription of 4mg conversely tableted-once a day. It has been over 5 years taking this medicine. However, my high-blood pressure readings have been howering around 160/100 which are considered as still high. After about 2 months using AirBoom product and consuming the charged water, one day upon arising I decided to take my high-blood pressure reading, much to my surprise, the reading was 127/95. Phew, I couldn�t believe my eyes. Never before I have such a reading! I tested my BP again, this time the reading was 129/97. Gradually, I will reduce my BP medicine. I never like the idea of consuming BP medicine over a long period of time for fear of side effect particularly on the kidney. My hat off to such a wonderful product. Saya telah mengalami kecederaan pergelangan tangan semasa bermain bola pada tahun 2006 iaitu hampir 3 tahun, Kecederaan tersebut saya tidak dapat melakukan kerja kerja berat. Untuk meredakan kesakiatan tersebut saya hanya mengunakan ubat ubuan saperti minyak panas. Perkenalan saya dengan NANO AIRBOOM telah mengubah nasib saya dan kecederaan yang saya alamittelah sembuh sepenuhnya dan sekarang saya telah dapat melakukan kerja kerja berat yang dulunya tidak dapat saya lakukan. Pada saya NANO AIRBOOM sungguh ajaib, benda getah plastic tetapi amat berkesan balam menyembuhkan berbagai penyakit. Terima kasih pada NANO AIRBOOM jasa mu tetap dikenang. As a diabetic and cholesterol regularly depend on medication since a long time my body suffer much especially foot and fingers pain and numb most energy need nutrient and food supplement to be fit mostly power as u know but too expensive since airboom I feel a different in a week time my mind and some part of my body slightly react and now make me move active and look healthy even still feel pain and numb for a while. Saya telah menggunakan Airboom semasa saya tidur selama 3 hari berturut-turut. Saya cuma letakkan Airboom di atas bantal semasa tidur. Saya mendapati bahawa badan saya lebih segar & selesa setiap kali saya bangun tidur. Bahkan, saya tidak rasa letih biarpun saya tidur selewat jam 2am dan bangun seawal 8. Jika sebelum menggunakan Airboom, pasti saya perlukan tidur sebentar pada waktu senja. Saya juga menggunakan Nano Guard, jelas bahawa kalau bergayut lama pun tak terasa telinga saya panas atau sakit telinga. Saya akan syorkan kepada semua orang yang saya kenali dan juga tidak dikenali untuk kebaikan semua. Terima kasih Airboom & Nano Guard. Early this year, I was introduced by Betty to this Air Boom Product. Initially, I was skeptical. I rarely believe in direct-selling product. Too much claim but not much effect. After much persuasion, I decide to give it a try. I was given a 2 week free trail. At first, I used it on my weight-training excercises. Normally, I would train bicep-curl using a 10 kg barbell for a minute. However, after wearing the air boom during the training, the training was extended to 2 minutes without much effort. Similarly, during my sit-up exercises, I would perform a 21/2 minute non-stop instead of the normal 1 minute traning. 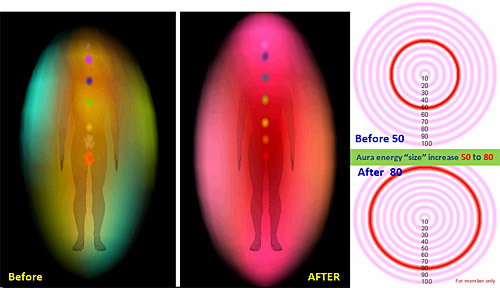 Where does my extra energy come from. As advise by Jordan Tie, I have also pasted onto the sole of my shoe. Guest what? I felt more energetic and I do not need my normal afternoon siesta. What an amazing product! Girls are complaining. Your company should design for them to pin onto their shirts. They do not want to miss out this wonderful product. I WAS SUFFERING ALTIRETISE ALL THE TIME AT MY FINGGER JOINT AND AFTER HOLDING AIRBOOM FOR 20 MINUTE, I FEELS NO MORE PAIN. THE EFFECT IS SO MIRACAL. AND ALSO MY FRIEND MR CHUNG FROM TARAKAN,INDONESIA CARRYING AIRBOOM IN HIS POCKET ONE DAY HAVING A MEETING WITH HIS COUNTERPART IN THE OFFICE. AFTER THE MEETING, HE LEFT THE OFFICE & ACCIDENTALLY HIS FOREHEAD KNOCK AT THE GLASS DOOR BUT THE GLASS DOOR DIDN�T BREAK. HIS FOREHEAD WAS UNHURMED AND NO BREEDING. What a great product your team have!.... Thanks to AirBoom! Last 2 weeks my friends had introduced me his new product that he bought. He had give me an AirBoom sample to tried on my car as i'm always drive to work. What had suprised me that my car seem got more POwer and eventhough my Fuel COnsumption had been decrease!. What a great product your have, will introduce to my friends. Thanks AirBoom! Hobby automotif sudah saya tekuni sejak masih di SMA. Mobil bokap dan motor jadi korban. Sudah biasa bongkar mobil sendiri. Sekarang ini "korban"nya Suzuki Karimun tahun 2001. Hampir semua modifikasi dilakukan sendiri. Sampai saat ini sudah dilakukan upgrade pengapian, saluran gas buang serta pasokan udara dengan mengaplikasikan open air filter. Tapi tetap saja kurang puas. Apalagi konsumsi bahan bakar jadi cenderung lebih boros. Akhirnya pilihan filter udara kembali ke standar dengan tambahan "Airboom Nano Energy". Hasilnya? Performa bisa sebanding dengan open air filter, dengan konsumsi bbm yang lebih irit. Tidak sangka, benda "karet" sekecil itu bisa berpengaruh besar untuk mesin kendaraan. Setelah mendengar banyak testimoni yang heboh dari teman teman, akhirnya saya terpancing untuk membeli juga. Betul, efek yang saya rasakan sama dengan yang teman saya rasakan. Akselerasi meningkat, kendaraan seperti memiliki power berlebih. setelah memakai sekitar seminggu, terlihat pemakaian bahan bakar yang lebih efisien. Mungkin hal ini disebabkan lebih baiknya pembakaran sehingga bahan bakar terbakar sempurna menjadi tenaga untuk menggerakkan mobil. Terima kasih airboom... efisiensi meningkat, akselerasi juga meningkat. Saya puas sekali dengan performa yang didapatkan. untuk pengapian; Speedspark 9R, koil Jacobs Ultra, kabel busi MSD, busi Bosch Ir Fusion. untuk pasokan udara pake free flow air filter custom tapi masih belum puas. saluran bahan bakar masih std. hari ini pesanan Airboom Nano Energy (including charity program) tiba di kantor sehingga saya terima 2 buah nanoenergy, yang 1 saya rencana akan saya pasang di dalam filter mobil saya, dan satu lainnya saya berikan ke istri saya untuk kebutuhan kesehatan di rumah. I just found this product last week which introduce by my friends,he insist me to used it for 1 week.After 1 week later I realize my car fuel consumption reduce up to 50% and I also feel the power of the engine after installed by friends at my car engine.After see the effectiveness of the product,I,m very satisfied and searching in the web for it and lastly I,ve found the website.I found this product(Air-Boom) which have a lot of multipurpose usage which can be used in other than my car.I,m very interested and been proven by using it.May I have 1 of the sample for try run and I also interested on your other product which advertisement on your website. Regards, Idi Saiful Adha bin Roslan. WOW! That was the best word to describe this AirBoom. I am not really sure how it's work but it do really work. It is not just reducing the fuel consumption of my car, but it's also increase the performance of the car. My car manage to accelerate in a short duration and maintain the speed by just pushing the throttle for a little bit. Truly magnificent!" On 1st May 2009, upon the recommendation of my upline mr Jordan Tie, I purchased a twister and nanoGuard to be installed in my car Wira Aero Back year 2007. Initially , I was rather skeptical as to how a piece of rubber would improve the performance of my car, however, I decided to give a try as my upline promised sanctification guaranteed or money back. The following day I instructed my mechanic to install the twister and nanoguard as specified. Guess what? Immediately a felt the improved performance, I was trilled , I noted the following; a) the engine have become more powerful, smooth and stable. B) much better acceleration especially for climbing and overtaking. C) acceleration improve much better d) fuel saving between 15% � 20%. Immediately, I recommended to my BOSS who at first purchase a twister and a nanoguard. After fixing, he was amazed and immediately purchased another for his wife car. I enjoyed driving my car now. Infact I have decided to postpone buying a new car. What an amazing product. Keep up the good product. Nama saya Abdul Rahim bin Daros. Saya adalah Pegawai Alam Sekitar Wilayah Persekutuan. Semasa sedang menunggu untuk mula Operasi Periksa Pelepasan Asap Kenderaan saya telah mencuba test pelepasan gas CO dari exhaust pajero petrol guna meter CO Analyzer. Sebelum guna AirBoom pelepasan CO = 0.09%. Selepas pasang AirBoom di Air Box Filter, CO = 0.07%. Terbukti AirBoom juga dapat kurangkan pelepasan gas Carbon Monoksida yg merbahaya. At first I thought what's the special about this rubber thing ? But when I tried to install in my Car (Toyota Avanza with 1.300 engine capacity) then I did test it on Highway road, guess what ??? Amazing, first installation testimonial was an improve in Acceleration and Throttle responds. No doubt this product is Amazing !!!! I plug the AirBoom to my lovely Toyota Kijang, 2001, EFI 1800cc. The result is amazing. First, I detect that the smoothness is improved, machine�s noise is reduced about 30%. Then I drive my car to the free way, once more surprise!!! Usually for the 3000 RPM, I got only 80 KpH, but after I plug the AirBoom, I can get 90 KpH for the 3000 RPM. I said wow!! !, it means the fuel consuming is more efficient. For the performance and acceleration should be better also, although I was not really notice about that. All I can say is Thank�s to the maker of this great product, I really recommend this little orange thing to you guys. So, don�t miss it!! !